“Who Else Is Ready To Experience The Next Benchmark In Hypnotic Influence That Is Changing The Lives Of People All Over The Planet?" "Hypnosis Pioneer Shocks The World Yet Again With The Release Of An Innovative Series That Works On An Elevated Level Of Hypnosis Technology That Has Never Been Seen Before!" Introducing The Musical Day Timers Series By Steve G. Jones, Clinical Hypnotherapist. Music is one the best ways to implant messages into the subconscious mind simply because the human mind will repeat a melody without even thinking about it. It is almost as automatic a process as breathing. This is even true of melodies that people don’t necessarily like. Melody has a uniquely effective ability to create what is known as subconscious receptiveness where the mind is even more open to suggestion than it is normally. Now using the power of musical melody, Steve G. Jones has created the Musical Day Time Series which consists of 125 musical recordings layered with positive affirmations. Harnessing the power of melody, Steve has in fact successfully created what is being called “the next benchmark in hypnotic influence”. 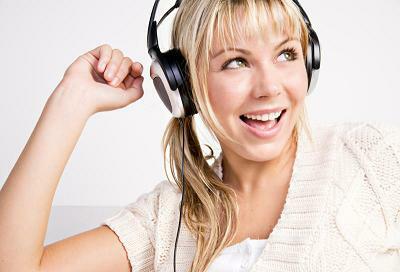 Now, you can improve your life using the power of affirmation while enjoying your favorite genre of music. Musical Daytime Series Hypnosis Titles! Abundance - Musical Daytime Classical Musical Daytime Affirmations - Classical Focusing on Abundance - Using the Law of Attraction to Get What You Want! Abundance - Musical Daytime Easy Listening Musical Daytime Affirmations - Easy Listening Focusing on Abundance - Using the Law of Attraction to Get What You Want! Abundance - Musical Daytime Pop Musical Daytime Affirmations - Pop Focusing on Abundance - Using the Law of Attraction to Get What You Want! Abundance - Musical Daytime Rock Musical Daytime Affirmations - Rock Focusing on Abundance - Using the Law of Attraction to Get What You Want! Abundance - Musical Daytime Techno Musical Daytime Affirmations - Techno Focusing on Abundance - Using the Law of Attraction to Get What You Want! I Love to Exercise - Musical Daytime Classical Musical Daytime Affirmations - Classical for Improving your Relationship with Exercise - Finally Start to Love it and have it as a Natural Component in your Lifestyle! I Love to Exercise - Musical Daytime Pop Musical Daytime Affirmations - Pop for Improving your Relationship with Exercise - Finally Start to Love it and have it as a Natural Component in your Lifestyle! I Love to Exercise - Musical Daytime Rock Musical Daytime Affirmations - Rock for Improving your Relationship with Exercise - Finally Start to Love it and have it as a Natural Component in your Lifestyle! I Love to Exercise - Musical Daytime Techno Musical Daytime Affirmations - Techno for Improving your Relationship with Exercise - Finally Start to Love it and have it as a Natural Component in your Lifestyle! Love Magnetism - Musical Daytime Classical Musical Daytime Affirmations - Classical for Attracting Positive Love into your Life -- Be a Love Magnet! Love Magnetism - Musical Daytime Easy Listening Musical Daytime Affirmations - Easy Listening for Attracting Positive Love into your Life -- Be a Love Magnet! Love Magnetism - Musical Daytime Pop Musical Daytime Affirmations - Pop for Attracting Positive Love into your Life -- Be a Love Magnet! Love Magnetism - Musical Daytime Rock Musical Daytime Affirmations - Rock for Attracting Positive Love into your Life -- Be a Love Magnet! Love Magnetism - Musical Daytime Techno Musical Daytime Affirmations - Techno for Attracting Positive Love into your Life -- Be a Love Magnet! Unlimited Motivation - Musical Daytime Classical Musical Daytime Affirmations - Classical to Help you get Motivated - and Stay Motivated! Unlimited Motivation - Musical Daytime Easy Listening Musical Daytime Affirmations - Easy Listening to Help you get Motivated - and Stay Motivated! Unlimited Motivation - Musical Daytime Pop Musical Daytime Affirmations - Pop to Help you get Motivated - and Stay Motivated! Unlimited Motivation - Musical Daytime Rock Musical Daytime Affirmations - Rock to Help you get Motivated - and Stay Motivated! Unlimited Motivation - Musical Daytime Techno Musical Daytime Affirmations - Techno to Help you get Motivated - and Stay Motivated!